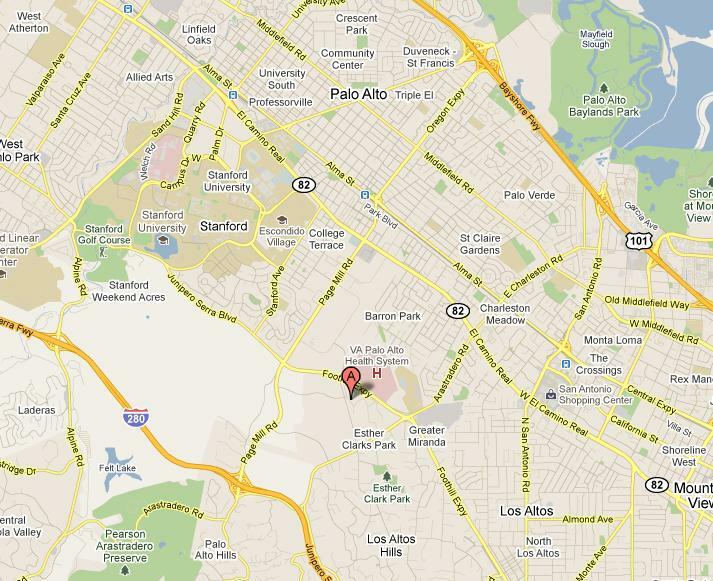 This is a high level map showing where VMware Headquarter (3401 Hillview Ave, Palo Alto, CA) is. Once you are at the main entrance of VMware, please check out the following satellite map for directions to go to the Cafeteria. You can park your car at the end of the thick line and walk along the thin line to Cafeteria. 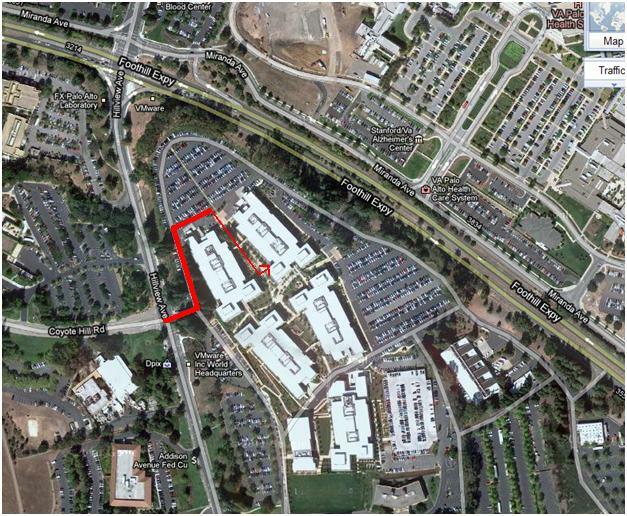 NOTE: if you come from Foothill Expy, don’t turn right on the first right drive way into another VMware campus. Please continue and turn left onto a drive way to 3401.